Previously released on CD. This time ''Jordtron..'' will get the treatment it deserves, on tape format. 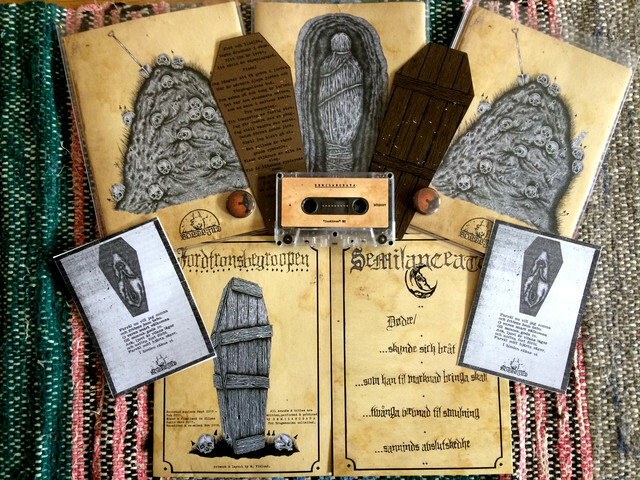 Dark and rotten funeralsounds..
Re-edited and re-mastered. A5 fold-out inside plastic sleeve with new artwork and layout + lyrics sheet, first 50 copies includes a pin. All orders are shipped, Klaxon will be getting copies. I have a handfull left, act fast.